Chameleon Icons converts images of any format into Windows icons with just a few clicks. Convert any picture or photo in BMP, JPEG, GIF, PNG, PSD, TIFF format into icons for your Windows desktop, applications, folders, email and ICQ contacts. As it supports Windows XP icons in 32-bit color depth with an alpha channel, you can easily create semi-transparent XP icons. Chameleon Icons is equipped with a rich frame styles collection. 2000 char. description. Chameleon Icons converts images of any format into Windows icons. Any images that you find on the Internet you can convert to icons for use on your Windows desktop, in applications and anywhere else. As it supports Windows XP icons in 32-bit color depth with an alpha channel, you can easily create semi-transparent XP icons. Now you can turn any image into an icon with just a few clicks. Make your Windows folders different by assigning eye-catching icons to each of them. The simple Chameleon Icons interface makes it easy to make every folder look special. Key features: - Create Windows Icon with a single action - Make cool e-mail shortcuts for your contacts using any photos - Skin your folders - assign a fun icon to any folder - Create unique AIM buddy icons and ICQ user shortcuts - Get started quickly - easy user-friendly interface and Help get you going right away - Chameleon Icons is equipped with a rich collection of frame styles including geometric, Document, ICQ User Shortcut, Skinned Folder, E-Mail Shortcut, Artistic and Nationals Flags. Chameleon Icons: a great way to create icons using any picture or photo. IconUtils is a complete icon and cursor solution. With this package, you can express your artistic nature and create your own unique icons, convert existing images and use them as icons, create a unique look and feel to your desktop and folders. Use IconLover to find and extract, edit, import and export icons, static and animated cursors and manage icon libraries. IconLover contains a variety of paint tools to let you create and edit icons with image formats in either standard or custom sizes, in color depths up to 32-bit True Color. You can import icons from image, cursor and library files and even from executables. IconLover allows you to arrange icons into libraries. 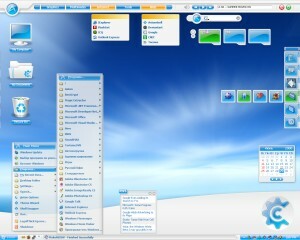 It supports the Windows XP icon format and can also import Mac icons. Any to Icon converts BMP, JPEG, GIF, PNG, WMF, PSD, WBMP, XPM, XBM and CUR formats into Windows icons. You can add files and folders from Windows Explorer or other file shells using drag and drop, and you can break down entire icon libraries into individual icons. You can change color resolution and size to create customized icons. Any to Icon allows you to extract icons from folders and libraries. And, it`s easy to process multiple files at once. Icon to Any allows you to convert Windows icons and cursors into Windows bitmaps, WAP bitmaps, JPEG, GIF, PNG, PSD, XPM, XBM images, Windows icons and cursors and Resource Compiler (RC) files. It`s also simple to process multiple files at once. You can find icons and make GIF, JPEG, PNG images for use on Web pages. AhaView supports all popular graphic formats, including JPEG, JPEG 2000, GIF, PNG, BMP, TGA, ICO, CUR, ANI, PSD, WBMP, XPM, XBM, ICNS, and RSRC. You can browse images in thumbnail mode, view pictures full screen with zooming features, convert images to JPEG, PNG, BMP formats and manage files. 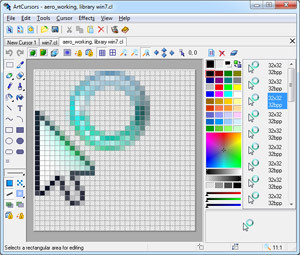 Icon editor Create and edit icons in either standard or custom sizes, in color depths up to 16 million colors. Standard icon sizes are 16x16, 32x32, 48x48 including Linear Gradient, Radial Gradient, Rectangular Gradient, WAV, 3D Shadow, 3D Button, Text Gradient Effects, Noise, and Arbitrary Rotation, create icons with a preset sizes, use dynamic transparent colors, create cursors with free hotspots, create, view animated cursors, extract icon from any file or folder, paste images from clipboard, select Regions for Import from .bmp, .jpg, .gif, or .wmf images, Drag and Drop files for editing, unlimited undo and redo steps, support multi-language interface.Free Icon Editor can edit and creat icons, cursors and animated cursors - using the common editing tools and effects, Import icons from images and files, and export icons in a custom size and color depth. Icon In Depth works like a Swiss Army Knife of icon & cursor manipulation. Features find & manage icons on your system, image-editing features such as effects, filters, rotation, cropping, as well as a huge color palette, easy-to-use editor that has all the functions for creating/editing ICO, ANI, CUR, GIF, JPEG, WMF, EMF, TGA, and WBMP files, image filters, including Blurring, Sharpening, Embossing, Diffusing, and Color Balance, image effects, including Linear Gradient, Radial Gradient, Rectangular Gradient, WAV, 3D Shadow, 3D Button, Text Gradient Effects, Noise, and Arbitrary Rotation, create icons with a preset sizes, use dynamic transparent colors, create cursors with free hotspots, create & view animated cursors, extract icon from any file or folder, paste images from clipboard, select Regions for Import from .bmp, .jpg, .gif, or .wmf images, Drag and Drop files for editing, unlimited undo and redo steps, support multi-language interface.